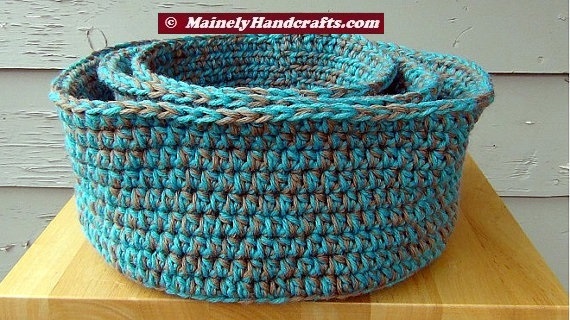 You have so many ways to use the nested hand-crocheted baskets, with a small, medium, and large basket in the set. This item is now available at our Etsy Shop. 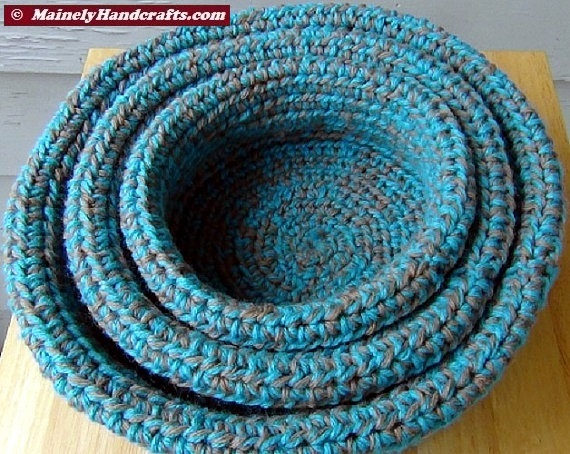 Use them in the bathroom to hold things like cotton balls or decorative soaps. Have them be a catch-all for items like keys and cell phones. 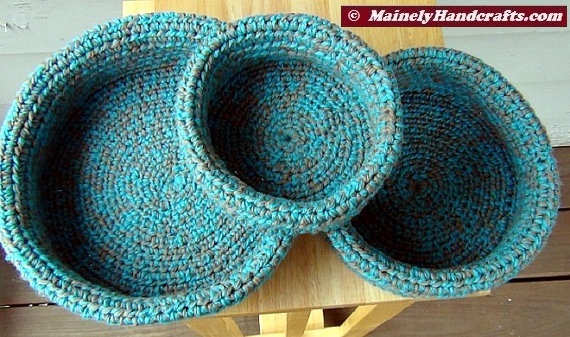 Use them as casserole cozies. Have fun seeing how many uses you find! 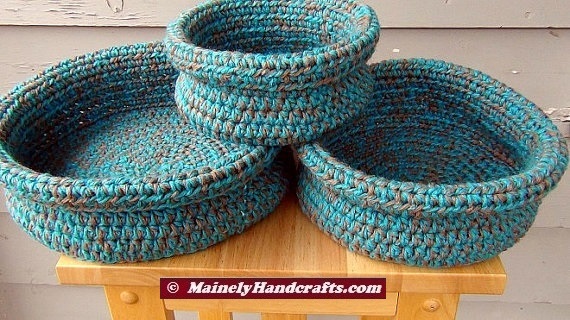 Set of 3 nested baskets, each crocheted with rolled brim, using a 2 strand method of Robin’s Egg Blue and Taupe. 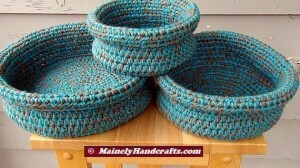 Large basket has 9″ bottom, Medium basket has a 7″ bottom, and small basket has 5″ bottom. 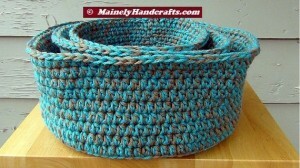 All are approximately 2 1/2″ high with rolled brim, 4″ with brim unrolled. 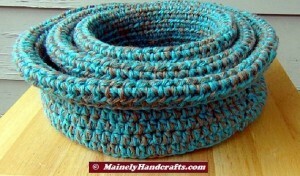 Machine washable and dry-able on gentle; reshaping may be required. Come see some of our other Bags, Toes, & Baskets at Mainely Handcrafts ™. Only 18 days after being listed, this item was SOLD at Etsy.com, today, October 23, 2014.